Up until the mid 16th century the predominant view was that the Sun revolved around the Earth. Before we scoff with our 21st century ‘superior knowledge’, lets just ask ourselves “What would things look like if the sun DID revolve around the earth?”. Well actually the same. It’s only when you study the cosmos further and have a deeper understanding of the mathematics surrounding the orbits and sizes of the sun and planets that any meaningful questioning of this notion can be carried out. Thus it wasn’t until Nicolaus Copernicus (1473-1543) and later Galileo Galilei (1564–1642) came along that a heliocentric model of the Solar System was able to triumph. The Church has often encouraged and sponsored scientific research, indeed many of the eminent scientist were clergymen. However it could also be dangerous to be a scientist especially before the seventeenth century and especially if it challenged pre-held beliefs. Often these beliefs were not biblical but interpreted or assumed beliefs held by the clergy. One such belief was the notion that the earth was the centre of the solar system and that the Sun revolved around the Earth. This was the predominant view held up until the late 16th early 17th century after which the ‘new’ ideas of 2 men, Nicolaus Copernicus and Galileo Galilei finally, took hold. Actually a heliocentric model of the Solar System wasn’t a totally new idea. Way back around 350 BC, the Greek philosopher Aristotle pondered whether our planet was part of some larger entity. But while he realised that the Sun and Moon are orbiting spheres, after a good bit of musing, he settled on the idea that Earth lay at the centre of the Solar System. 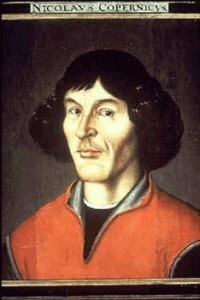 It wasn’t until Nicolaus Copernicus (1473-1543) came along that Earth was knocked off its pedestal. Copernicus was a lawyer, but more crucially also a mathematician who enjoyed stargazing as an amateur astronomer. At the centre of his work was the fact that he had worked out that if the stars were orbiting Earth every 24 hours, the more distant ones would have to be moving through the cosmos at almost impossible speeds. So fearful was he of the Church’s reaction to his ideas that he worked in secret on his theories for many years. During the 1530s, rumours of a potentially revolutionary theory of how the heavens worked emanating from a small city in Poland began to spread throughout Europe. The architect of this theory was a Polish cleric named Nicolaus Copernicus. 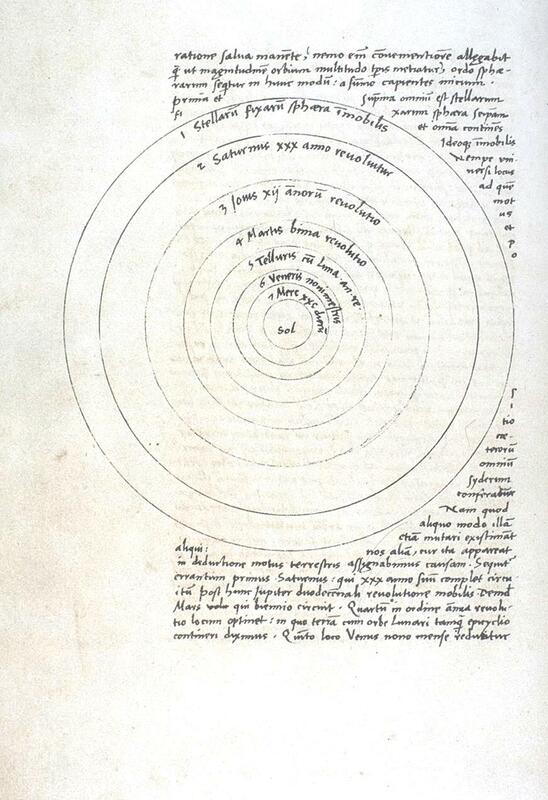 In around 1514 Copernicus had written and hand-copied an initial outline of his heliocentric theory, in which he placed the Sun, not the Earth, at the centre of our universe, with the planets, including the Earth, revolving about it. Titled his Commentariolus, it circulated among a very few astronomers. Over the next two decades Copernicus expanded his theory through hundreds of sightings, leading to a secretive manuscript whose existence tantalised mathematicians and scientists all over the world. In 1539 a young German mathematician, Georg Joachim Rheticus, travelled to Frombork to meet Copernicus; months later he departed with the manuscript for the book that would change the way we understand our place in the universe. 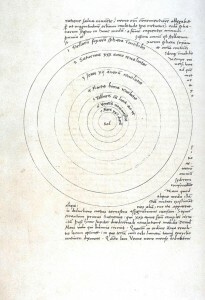 Rheticus arranged for the publication of De Revolutionibus Orbium Coelestium (On the Revolutions of the Celestial Spheres) – legend has it Copernicus received a copy only on his deathbed in 1543. It’s also possible that Copernicus avoided the stake by playing the Church cleverly by dedicating his book to the Pope. Now, it’s all very well having an idea like Copernicus’s, but to nail home the science, you need to collect the evidence to support it. 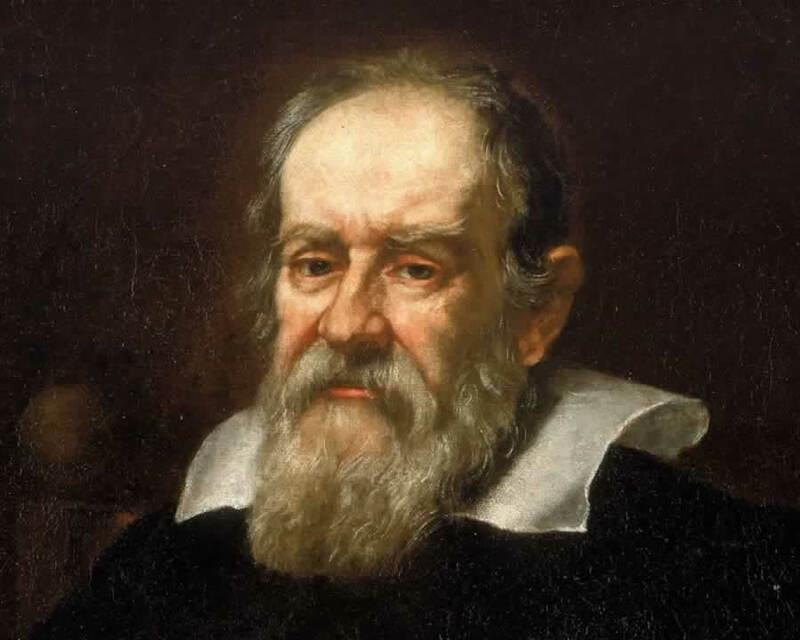 Enter Galileo Galilei. Galileo was an Italian mathematician, physicist and astronomer. In1609, he heard of a new invention by a Flemish spectacle maker. Galileo set about improving Hans Lippershey’s ‘spyglass’ by grinding better lenses. When Galileo turned this telescope skywards, a new world was revealed. He saw craters on the Moon and the rings of Saturn. But, crucially, he also spotted some odd shapes around Jupiter. When Galileo saw Jupiter had moons orbiting it, it confirmed the picture that Copernicus and others before him had dared to propose: that we human beings are not at the centre of the Universe. Galileo’s evidence and support of Copernicanism was his eventual downfall – he ended his days under house arrest. But his book Dialogue Concerning the Two Chief World Systems, published in 1632, which looked at the arguments for different models of the Solar System, was smuggled out of Italy. This was the start of a new era in science, as, within a few decades, most educated Europeans came to believe that the Earth orbited the Sun. Copernicus’ book along with the necessary proofs that Galileo Galilei provided would forever change the way we thought about our place in the universe.